Spun brass with a baked-on enamel available in two finishes and four sizes. Urn surface is not engravable. 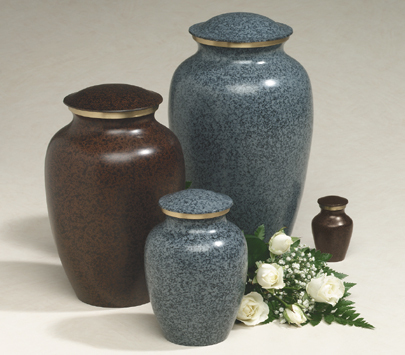 For size representation, keepsake urn is pictured at far right of photo. Please select your choice of finish before placing in cart.